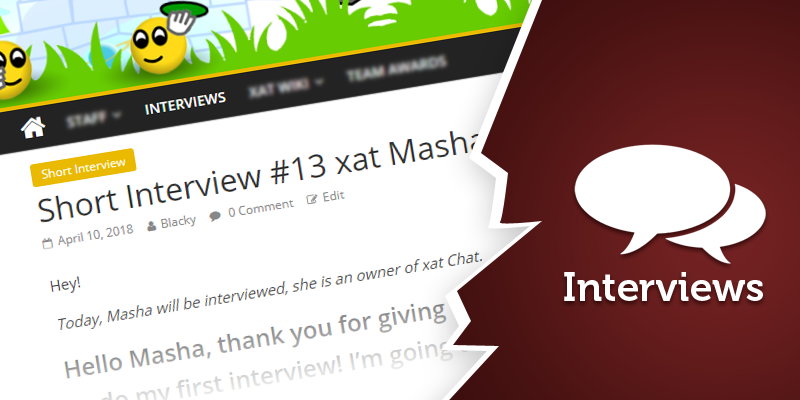 Today, Masha will be interviewed, she is an owner of xat Chat. Hello Masha, thank you for giving me the opportunity to do my first interview! I’m going to ask you a few questions about your private life. Well, I’m Masha and I love cats, that’s the best possible way I can tell you about myself. If you mean in life, my long-range objective is to be happy and carefree, those are the two things I want the most. As where I stand currently, I want to finish University. I want to own more than three cats in my lifetime as well. That’s a simple answer for me. Tennis. I wholeheartedly enjoy it, and it’s definitely one of my favourite sports to watch, I go crazy over it. Apart from that, I do enjoy being with friends and family. I also enjoy swimming. I’m studying a broad range of environmental subjects as a whole, particularly Geology. My greatest strength is my attention to detail; being observant. 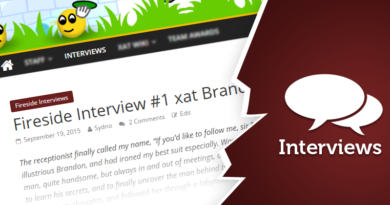 Have you ever met someone from xat? That’s not a lot of time. Anyway, I hope to see myself as graduated from University, that’s a priority of mine. I also want to travel a lot more, I might even move somewhere different, who knows. I’m going to ask you a few questions about your xat story. I know that you are a contributor, are you comfortable with it? Have you ever had a conflict with xat users? Being a contributor was never an intention of mine, however I think it was thoughtful I was considered as one. I do apologize for being extremely inactive there at the moment. I don’t know if that will improve right now. Regarding the subject of conflicts, I don’t have anything against anyone, and I hope everyone can say the same about me. Out of anyone, I would have to say Muffins. He’s laid back and kind. We get along well, and I consider him my best friend on here. What’s your favourite chat now? The answer is in the question itself :$ Chat of course. It’s a great place to interact with many users on an international level and it’s not necessarily restricted to one language, that’s what I like about it most. I don’t have one specific favourite volunteer. I don’t even know the full list of volunteers currently. The volunteers that stand out to me the most would have to be Muffins, Sydno and Andre, I appreciate their efforts. It’s mostly due to the fact I know them more than I know other volunteers. All 3 of them are very mindful, and I do believe they want xat to go in a positive direction and are doing all they can to ensure it happens. If you want, you can take a few minutes of free time. As I get older, I’m sure I’ll have more real life priorities, and that would mean spending less time on xat. I’ve been using xat since 2009 and they still have my support. Right now, I can’t give a specific time range of how long I think I will stay. I don’t care for powers much. I only buy what I use. If I had to choose, my favourite power would be gkkitty. An assortment of cute cat smilies. As of now, I think xat chat is being well managed by the current main owner and staff. I hope to be there for as long as I can. I don’t really visit any other chats, if I do it’s rarely, so Chat is special to me in a way, and I’m happy I found it. 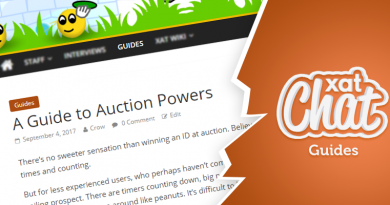 What do you think about xat.com now? I can’t say much about it. I’m blinded by my excessive use and enjoyment of xat, as crazy as it sounds, so my answer is strictly one-sided. I think xat.com is doing well at the moment. I hate to think about the negatives and would hate to see this site go. I really enjoy contributing translations to xat and to see the wiki being expanded, to provide an option of different languages to users on xat. I think that’s a big improvement.